Rub Ons are so useful for saying what you want to say and then using them to alter almost any hard surface. 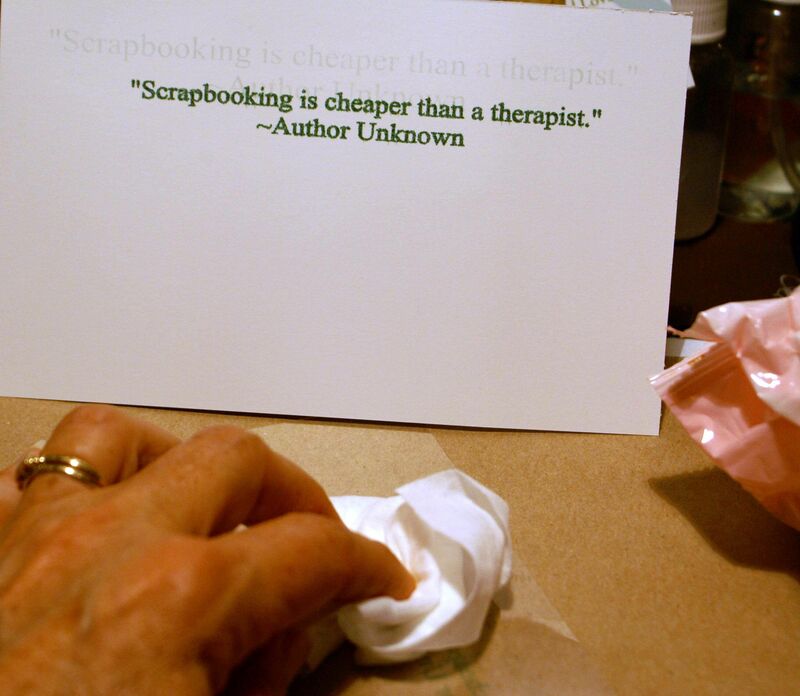 "Scrapbooking is cheaper than a therapist." While there is a great variety of ready-made transfers available, sometimes you cannot find just the right words, in the right font, in the right size and colour for your papercraft project. And finding a transfer that has the right graphics can be equally as elusive. With ready-made ones, once they are used, they are gone and you have to buy more. 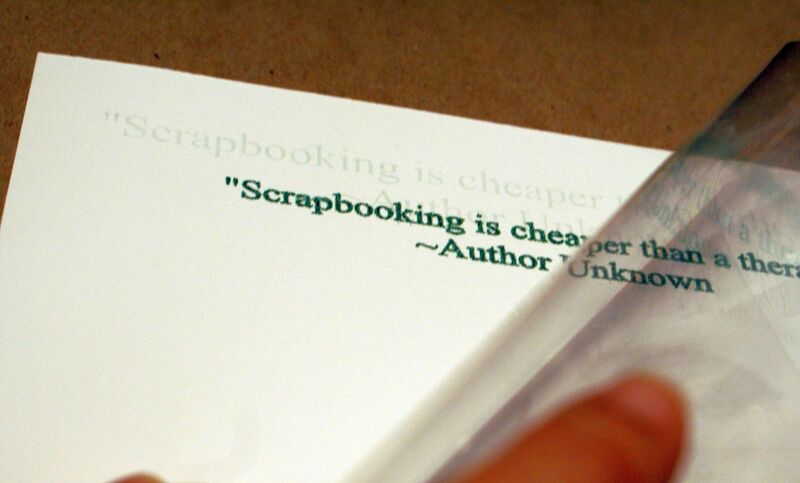 Making your own means you can have as many as you want, with no leftover letters you will probably never use. Wouldn't it be great to know how to make just what you need, whenever you want it? I wanted a bookmark tonight, so I decided to make one with a rub on to show you how. If you have a computer, a printer, a word processing program and some acetate (Window Sheets, overhead projector aka OHP sheets are great to use for this), you can make your own rub ons. Create the image or saying you want, in the colours you want. Use Word Art or a text box in Word programs so you can flip the image once it is created. Once I am happy with my image or saying, I feed a piece of acetate or OHP film into the printer so that it will be printed on the smooth side. There's a smooth and a rough side of OHP film - make sure your image gets printed on the smooth side. 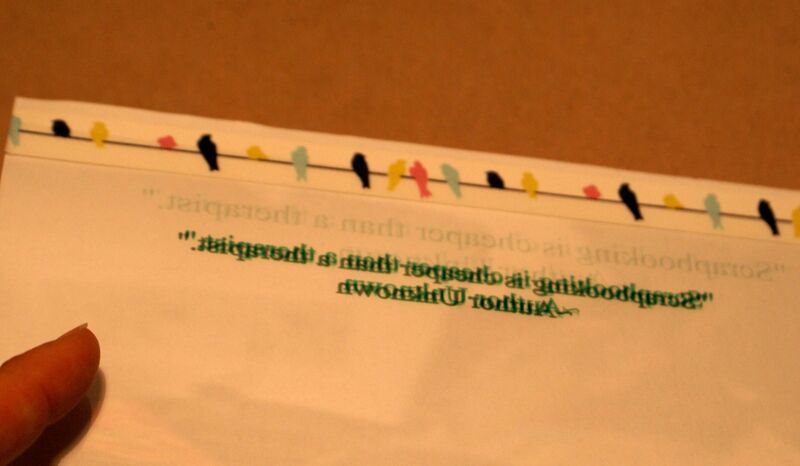 Now, how do you use these embellishments on your paper craft projects? There are actually heaps of places you may find to use them. Position the rub on, smooth side down, on your project. Your words should now read the right way round and your images should be facing the right way, the way you want them to appear on your project. Tape the acetate down so it won't move while you are rubbing it. Now your transfer has been positioned firmly on your project, stand back and admire it! Who would have thought making your own Rub Ons could be so easy? Do let me know if you make any rub ons yourself by telling me about it in the form below, especially if you find a new way of using them. Share your tips and ways of using these handmade, customised embellishments. Do You Have a Papercraft Hint or Tip to Share? 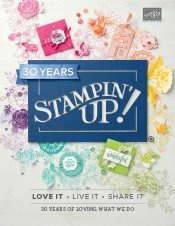 Do you have a hint or tip to share about papercrafting? Please do share it below.